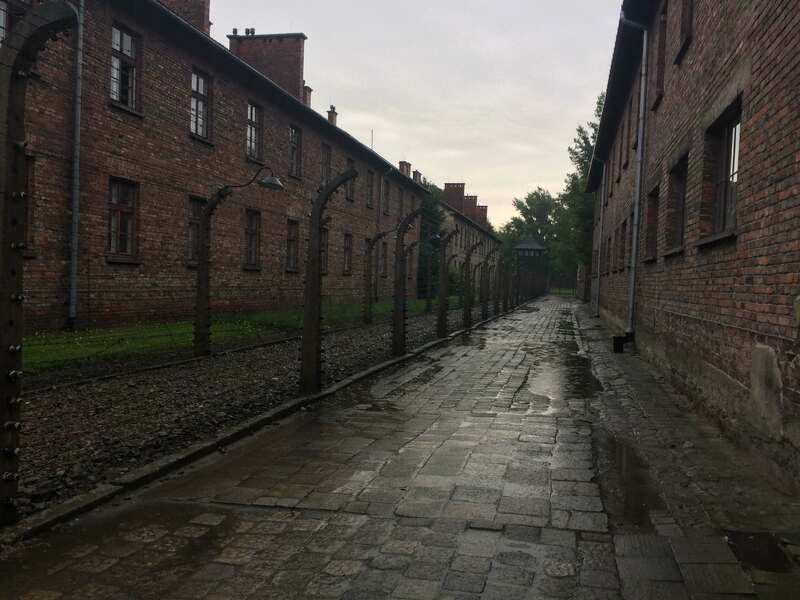 For our anniversary and Manny’s birthday, I wanted to do something a bit different, so I planned a surprise trip for us to Krakow to visit Auschwitz. Yes, I know, I know, “not the most romantic place” I hear you say, but we both love history and I knew it was something Manny would appreciate. 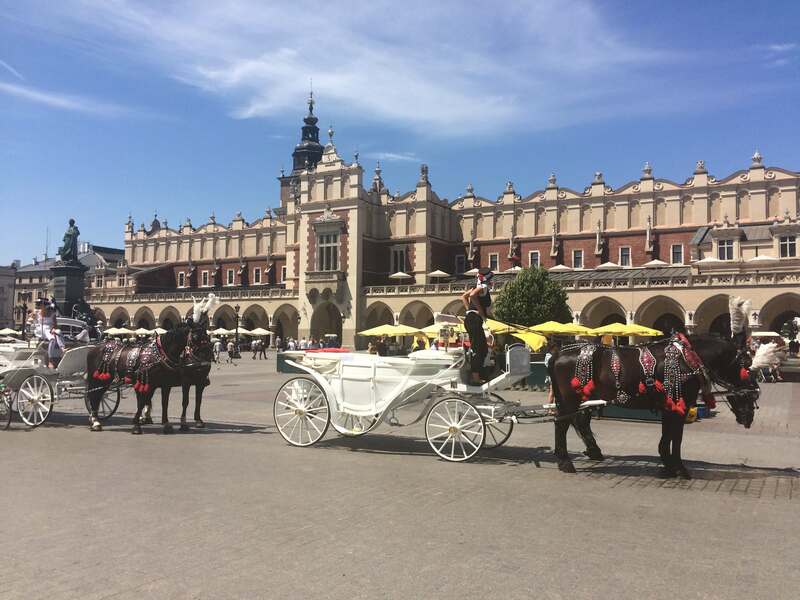 Manny got some stag do ideas in Krakow since he loved it so much! 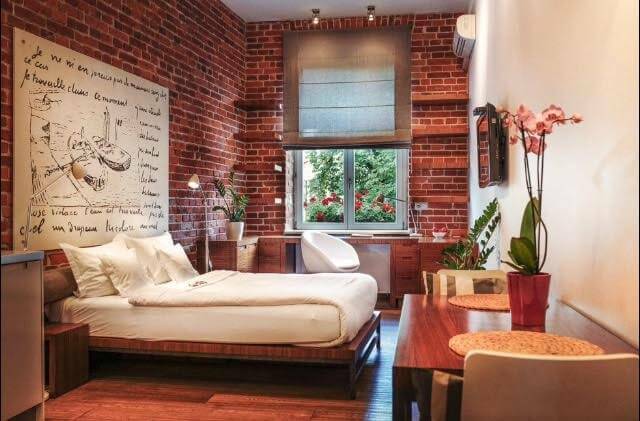 I found a stunning apartment online for a bargain price and within days I had everything booked and confirmed, I just had to keep it a secret! Due to it being our first trip away, I was nervous that it would not live up to my expectations but luckily, everything fell into place perfectly. I am a self-confessed worrier, but the trip went off without any hiccups! 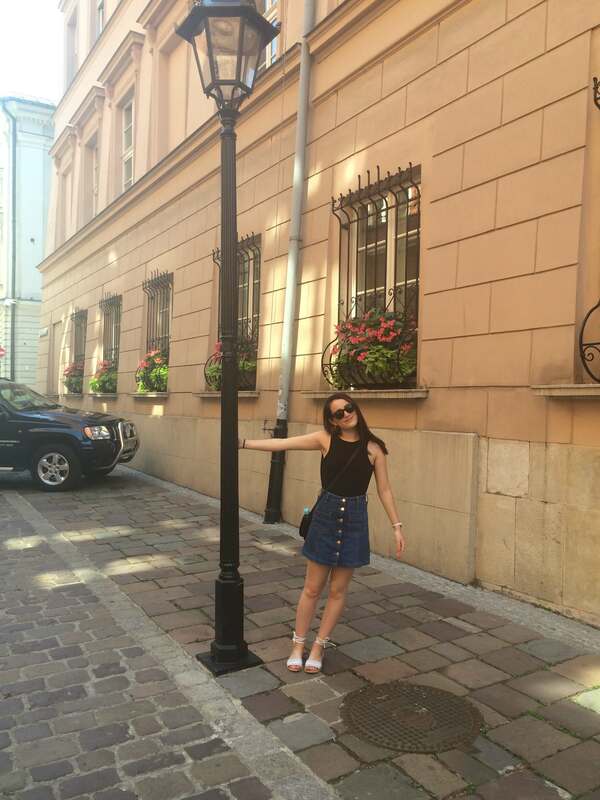 We stayed in Krakow for a total of three nights and we spent the first two days exploring the incredible city. The first night we were there, we stumbled upon the main square, almost accidentally, and were completely taken aback by its incredible atmosphere and beauty. Everything was super cheap, and we definitely made the most out of eating out! One morning we had actually planned to stay in and make pancakes – yes, our amazing apartment had a beautiful little kitchenette area – but, after buying what we thought was flour, and then realising it was actually potato starch, we ended up going out for breakfast instead! I had booked the tour of Auschwitz for the morning of our final day and we were picked up from and dropped back off at our apartment. On our way we were shown a haunting documentary, providing more of an insight into the history of Auschwitz. Being at the camp was completely surreal and we learnt so much from our tour guide. 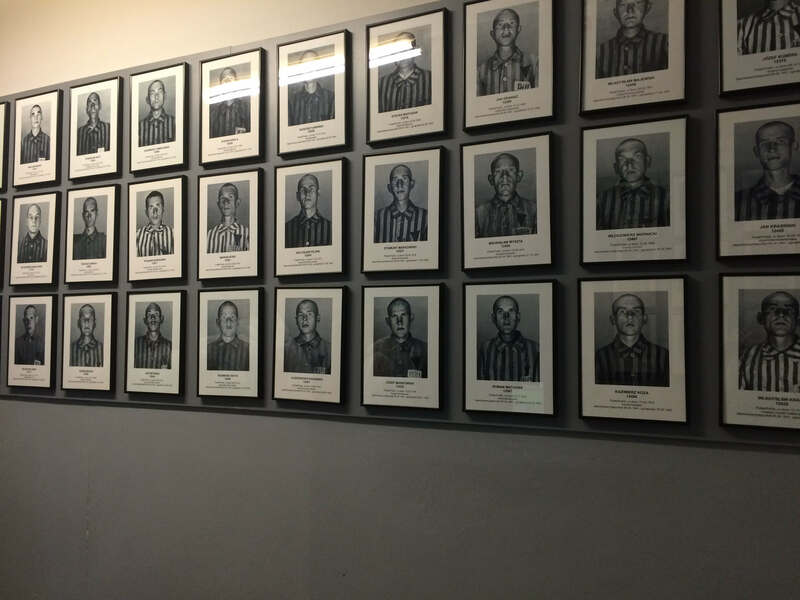 Seeing the belongings that had been taken from the prisoners was particularly evocative. We had both wanted to visit Auschwitz for a while and it is something we definitely won’t forget. Although it was not necessarily a positive experience, it was educational and something that we felt was important to do. Overall, we had a wonderful trip and we both recommend visiting Krakow if you have the chance. It is such a beautiful city and we can’t wait to go back! Annie and Manny are a couple based in the UK who love everything food and travel related! They are making their way through Europe one city at a time, whilst devouring food from any restaurants they come across!